Your family will love the bold Tex-Mex flavors in this creamy casserole. 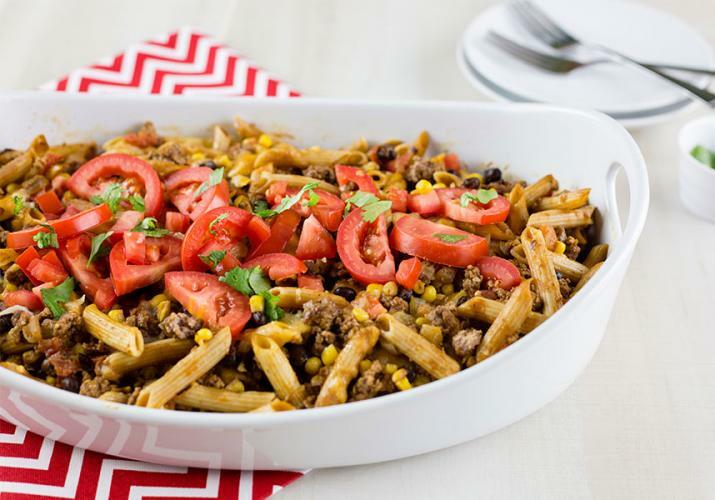 It’s made with whole-wheat penne, lean ground beef and a delicious blend of cheese, beans and spices to give you a simple meal with big taste. Top with the diced tomatoes before serving. Womanista is a lifestyle brand that inspires and encourages women by delivering informative content, recommendations and entertainment through the lens of wellness, fashion, beauty, living and current events.